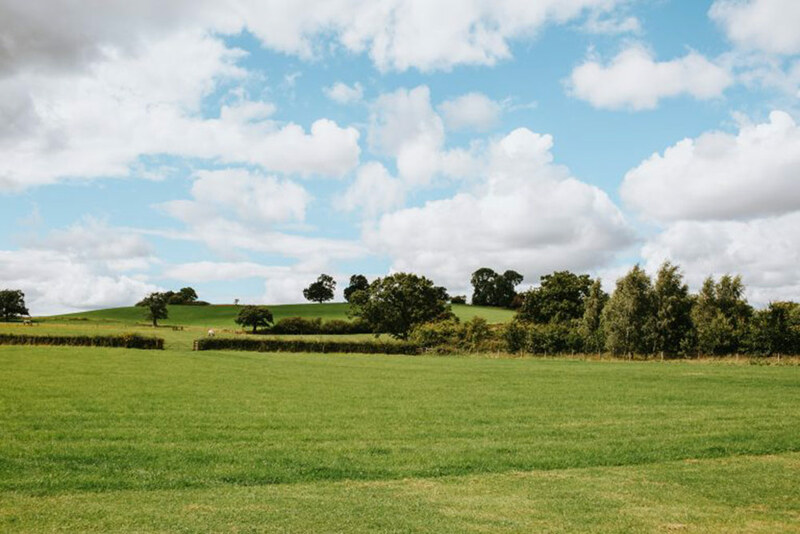 This fantastic blank canvas wedding venue provides a stunning natural backdrop for your wedding reception. 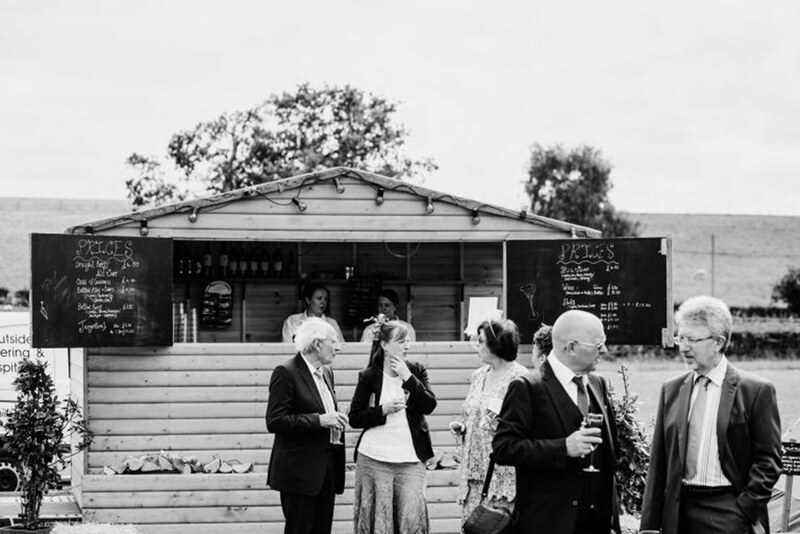 The outdoor venue is nestled in the heart of the beautiful Worcestershire countryside. 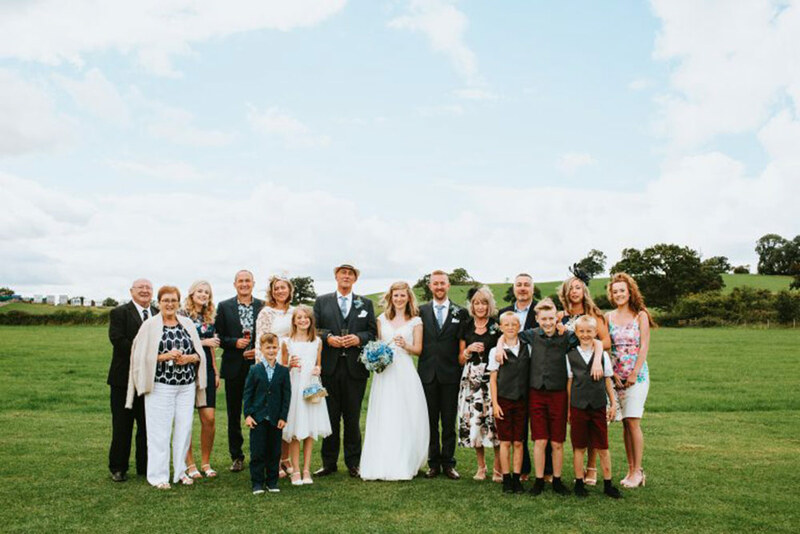 Family run wedding venue, Alcott Weddings provides a DIY wedding location that gives you free reign over your wedding and provides a list of trusted and exceptional wedding suppliers. 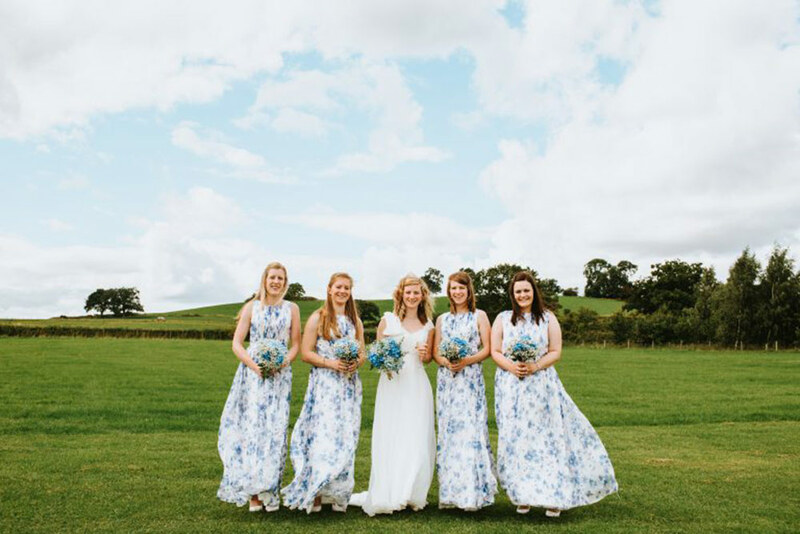 A truly DIY wedding venue, Alcott Farm is located inside the beautiful Worcestershire countryside and provides the ideal rural, outdoors wedding location. 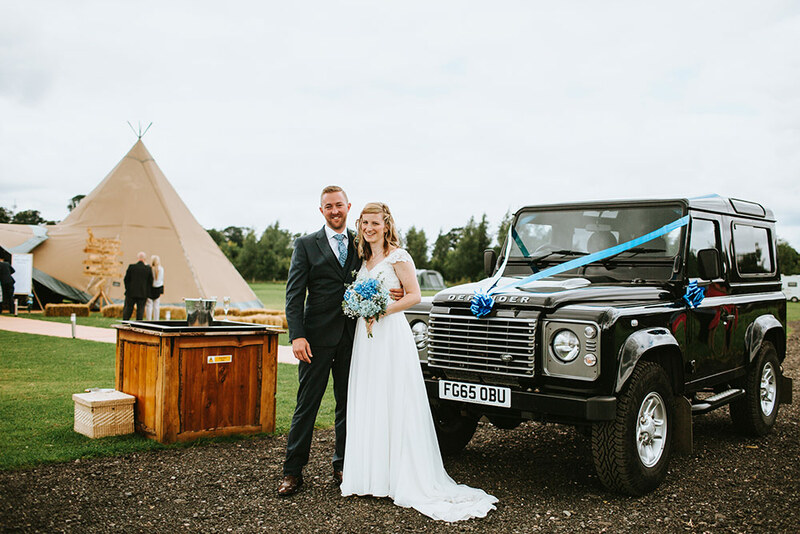 Based on a family run livery stable, Alcott Weddings has been within the same family for over 40 years - giving them plenty of experience in making sure that the bride and groom have everything that they could possibly need for their big day. 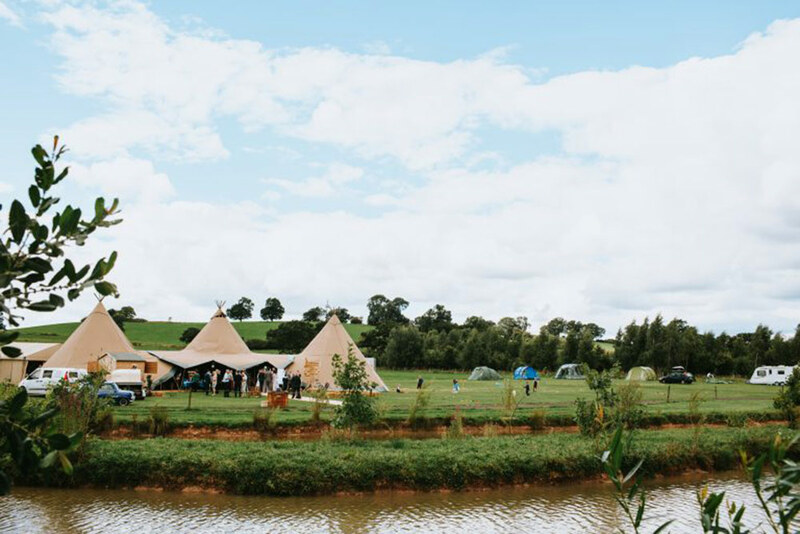 Offering exclusive use of the surrounding space, Alcott farm is easily accessible from the M42 and provides a wide range of recommended and in-house suppliers helping you choose the best caterers, decorators and even accommodation for your wedding day. 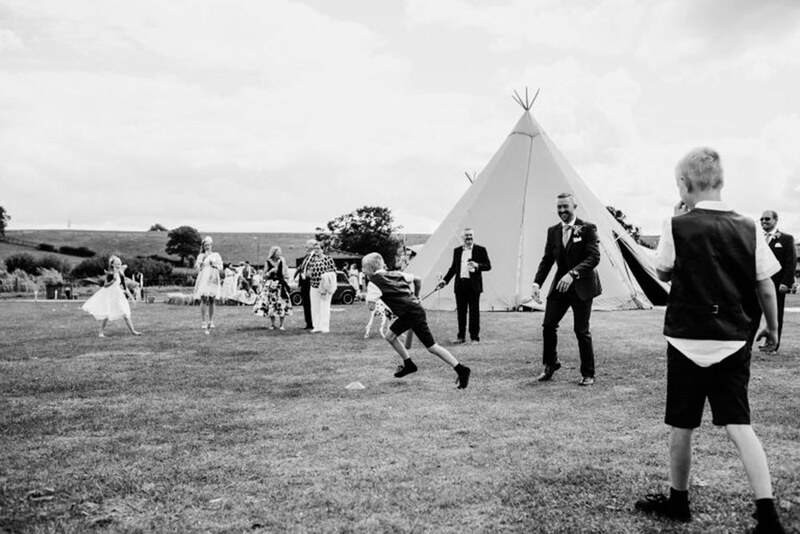 Running during the summer months, May to September, Alcott Farm is predominantly suited to wedding receptions, offering an outstanding location for a beautiful, rural celebration. Alcott Weddings are also able to cater to ceremonies and blessings where the couple arrange the legalities and signing at their local registry. 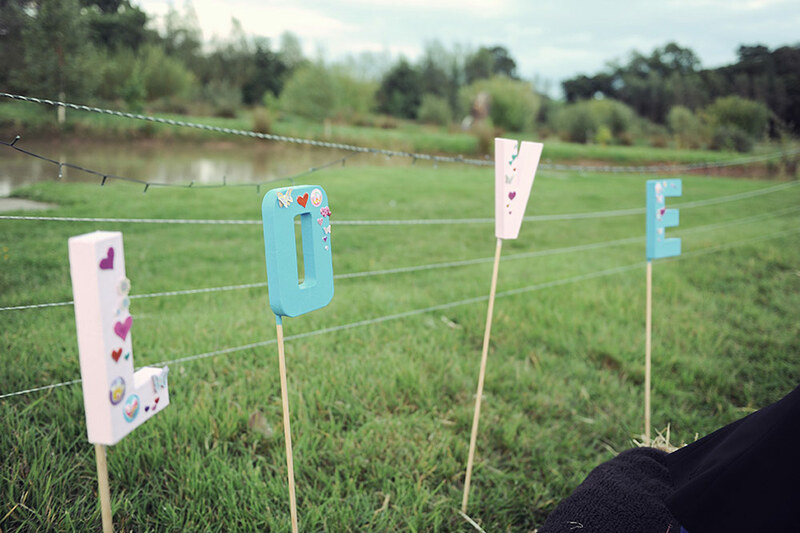 Create your DIY, outdoor wedding on one of Alcott Wedding's fields, able to host up to 499 people and boast two picturesque lakes for your stunning wedding shots. Whether your wedding is going to be intimate or large, simple or elaborate, this blank canvas venue provides the perfect location to ensure that all your wedding dreams come true. 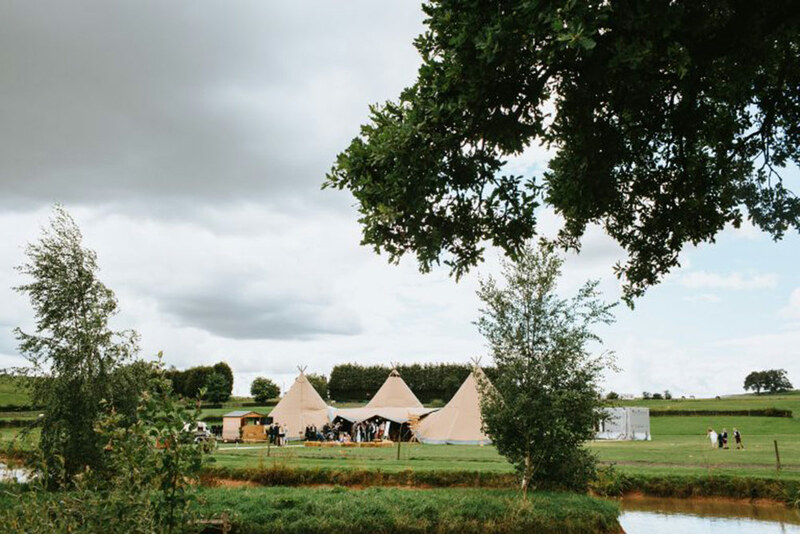 The venue offers parking for up to 100 guests, a beautiful converted-barn bridal suite and even waterproofing, with a functional drainage system in place to ensure that the field remains useable regardless of the weather. Exclusive use of the venue begins two days before your wedding and ends the evening of the following day - granting you four full days of uninterrupted use and plenty of time to have the venue looking exactly as you wish. 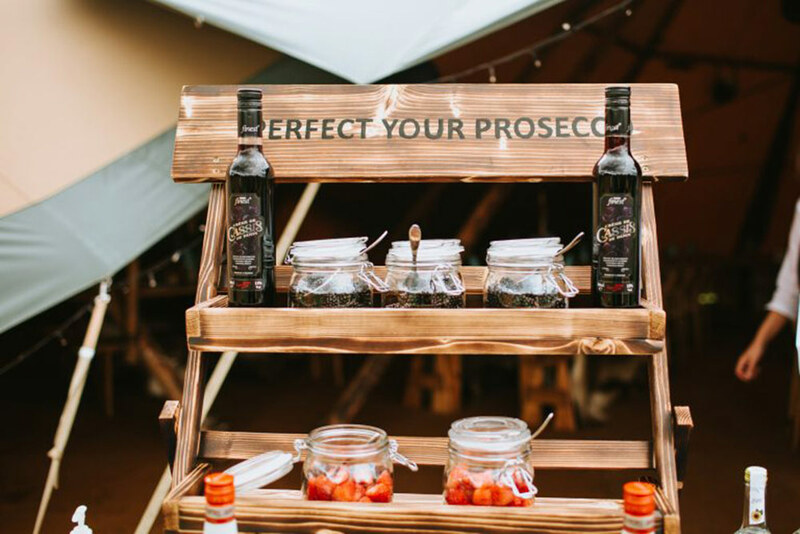 The Alcott Wedding provides a choice of recommended suppliers, from marquees to caterers and ensuring that they are recommending only the highest quality suppliers. 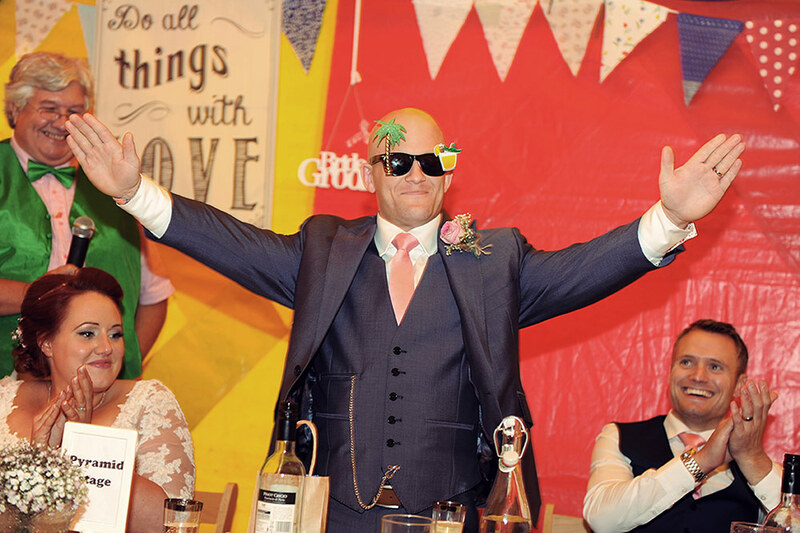 The venue's in-house events manager will be there to ensure that your day runs smoothly, ensuring that the suppliers are organised, helps with any electrical needs and welcomes your guests. He will remain on site all day, taking care of any minor problems that may crop up so that you don't have to worry about them. Alcott Weddings provides a range of preferred caterers, supplying a wide range of excellent food from banquets to buffets and hog roasts. The caterers work closely with you to create your perfect menu and budget. They even have a range of trendy street food vendors - including a fish and chip van that is always a big hit with the guests. 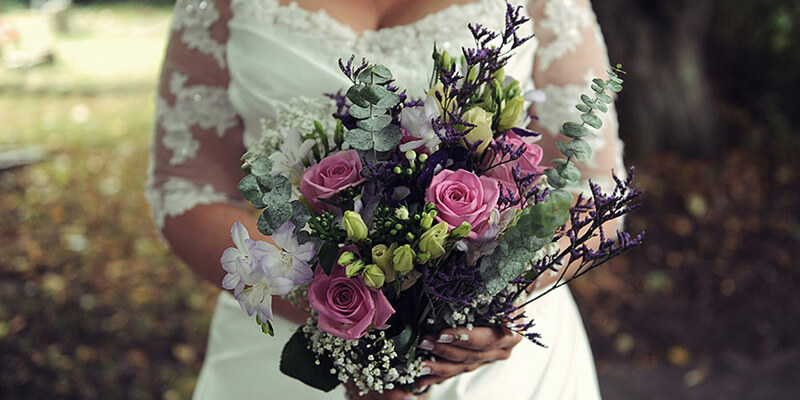 As well as a range of local hotels, Alcott Weddings is able to provide on-site accommodation, leaving you free to enjoy the celebration. Their Bed and Breakfast is located at the top of the property and can sleep six, making it an ideal option for sleeping the wedding party or VIP guests. 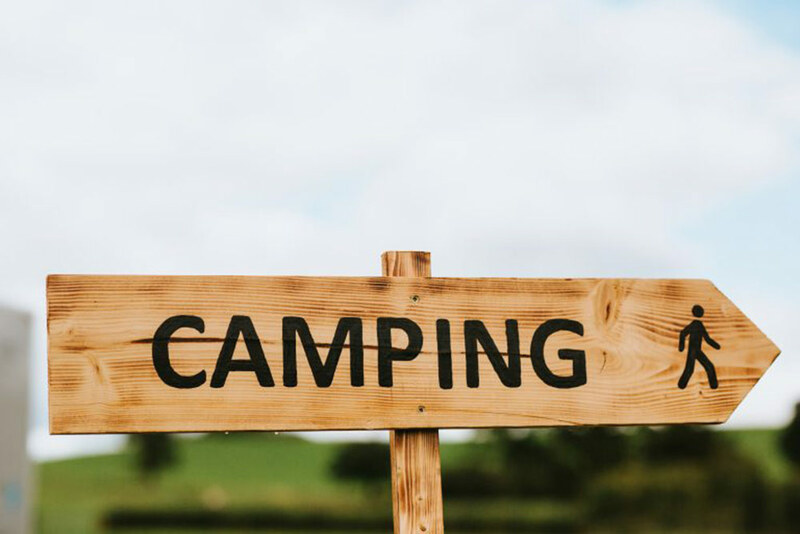 There are also options for guests to set up camp on site, using their own equipment and taking care of the tricky issue of choosing a designated driver. If you're interested why not get in touch? Contact details can be found below or else you can always head on over to the Alcott Weddings' website for more information. My husband and I had an absolutely incredible wedding at Alcott! From the day we booked our wedding, to the end of our wedding night Lucy has been absolutely amazing! Her help and support along the way helped us to plan the wedding of our dreams. Lucy suggested the most amazing suppliers who all helped to make our wedding the most amazing day of our lives! 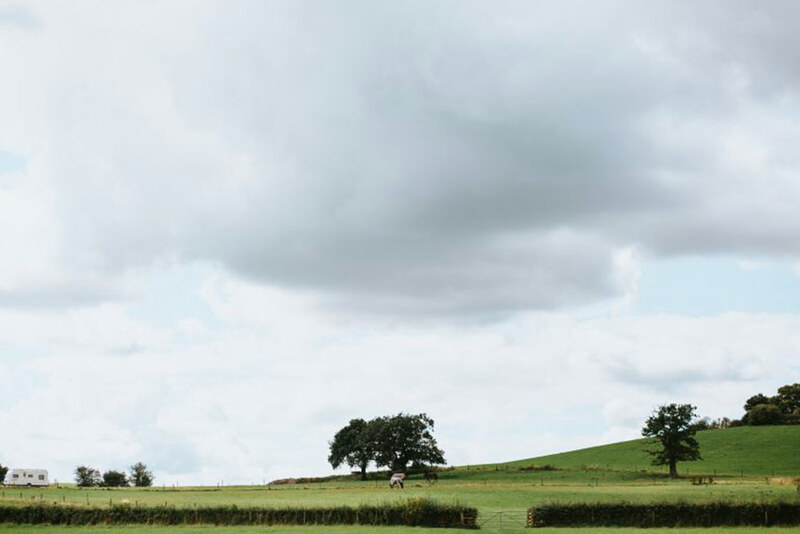 We cannot recommend Lucy and Alcott Weddings enough for anyone who is looking to create an amazing wedding day in this amazing countryside setting! Thank you so much to Lucy and her team! From the day of booking our wedding at Alcott, we received emails and support from Lucy. She listened to our ideas and recommended suppliers and was just fantastic throughout. All our guests commented on the venue itself and those who stayed in the B&B all said how beautiful it was and how friendly and lovely Lucy and her family were. Thank you so much for everything you did for us and how much you helped us. You gave us a wedding day we will never ever forget. We came across Alcott Farm at the end of 2015 through their website. After reading some great reviews, we arranged a meeting with Lucy at Christmas and we were put at ease straight away. Meeting over a friendly cuppa, we were able to get our date booked in. 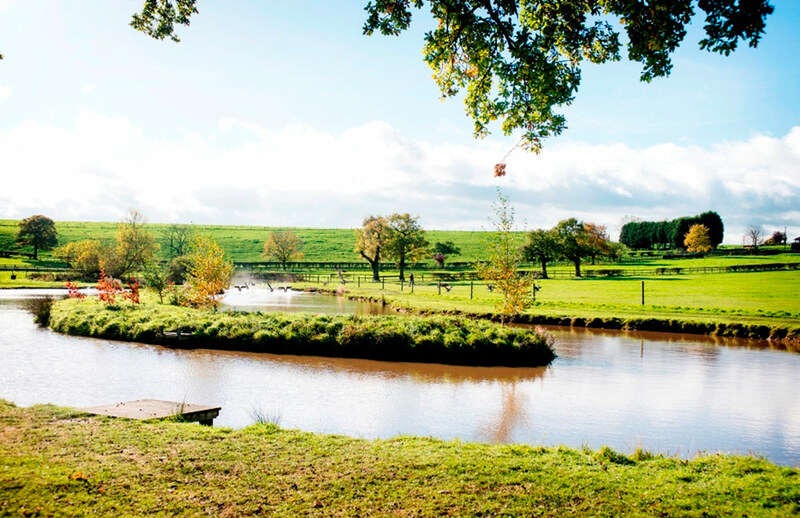 The farm, lake and fields really speak for themselves- set in beautiful surroundings we were hooked straight away. 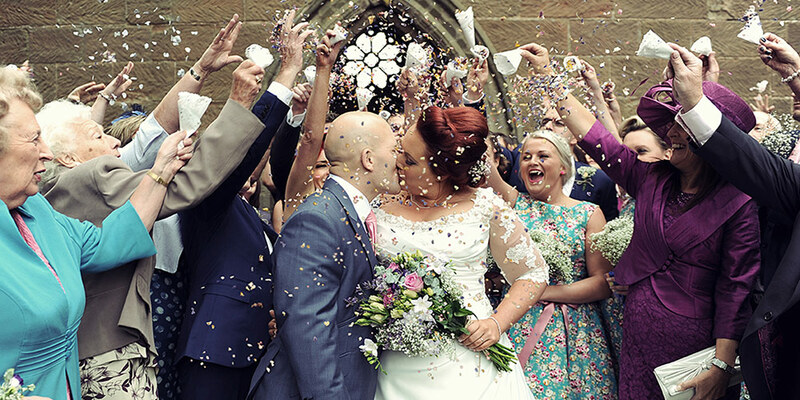 We knew what wedding we were wanting from the outset and chatting through our ideas with Lucy, we realised she was going to help as much as possible to make our dream a reality. Throughout the following year, we were guided with suppliers, sent recommendations for us to look into and we continued to receive friendly emails to see if there was any more that Lucy could help us with. We looked into additional suppliers and Lucy couldn’t have been more accommodating, speaking with them to make sure it would all work ok on the day. All of this really helped to make the build up to the wedding so much easier. 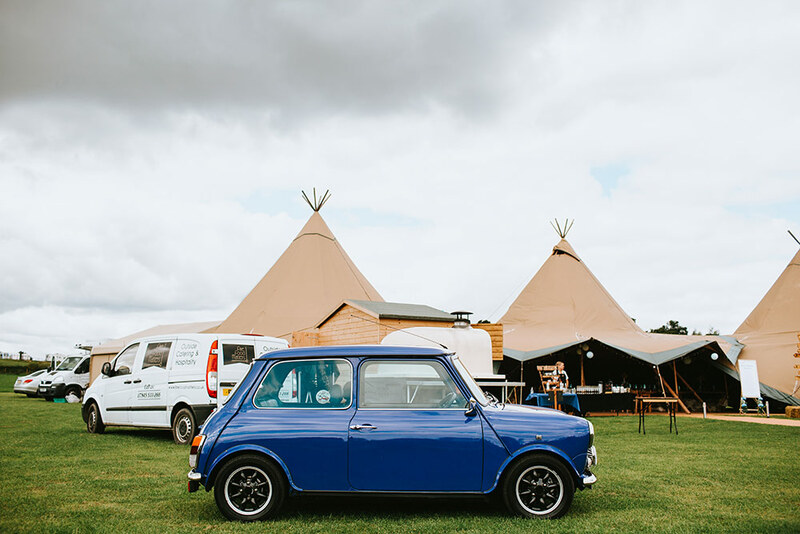 The wedding weekend soon flew round and throughout the whole time, Lucy and her team were at hand and on site, meeting with our suppliers and helping set the venue up. 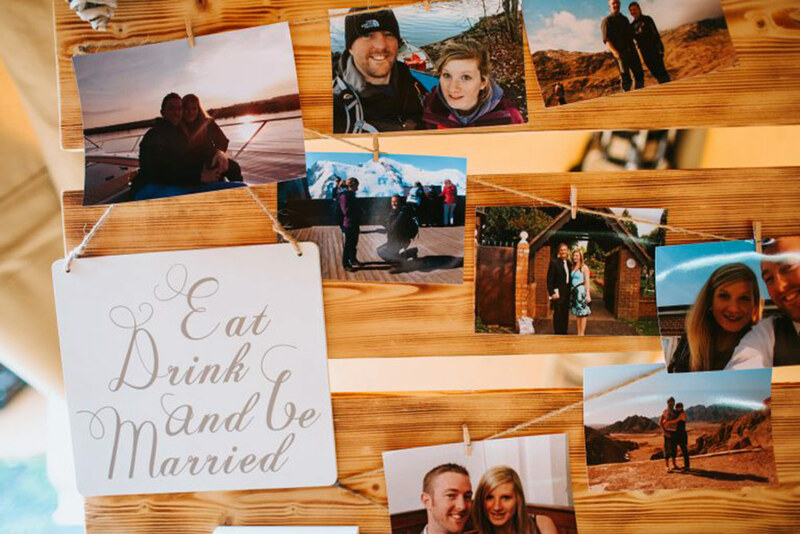 Our families and bridesmaids were welcomed and settled into their rooms on the evening before, along with all of us being cooked a fab breakfast each morning at a time to suit. On the Sunday, it was all hands on deck for the clear down and Lucy and her team were with us all the way. 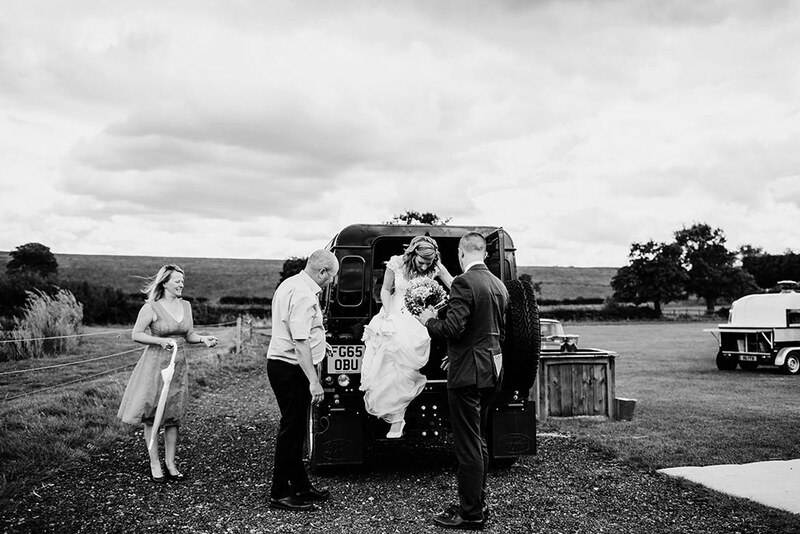 To be able to say that the only nerves in the build up to the wedding was whether the weather was going to be on our side, we couldn’t recommend booking your wedding at Alcott farm enough. Thank you to Lucy and all the team- we really had the best day of our lives and you all helped to make it that bit more special. 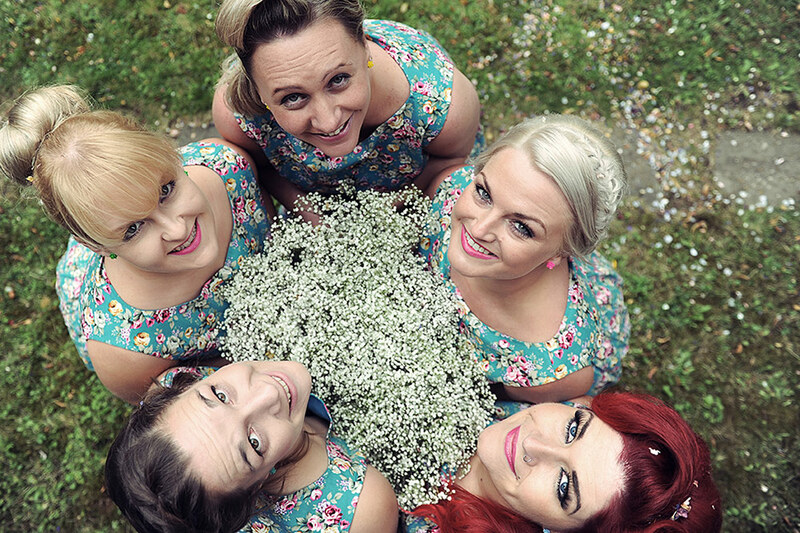 Most people only get married once in their lives, Lucy at Alcott gets married every weekend! 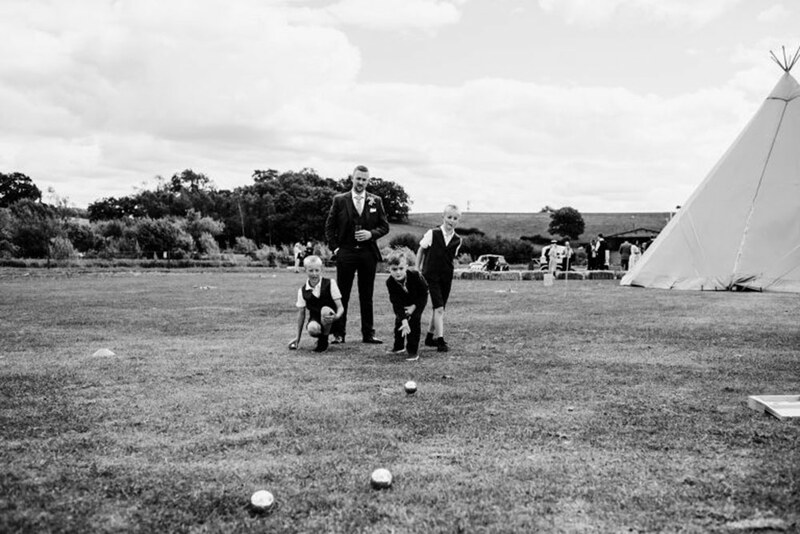 This means that the knowledge, experience and contacts that Lucy has is everything you could ever need to plan your big day down to the last tee. The help and assistance that Lucy provided for us was amazing and we’ll be forever grateful of this. If you are considering Alcott for your wedding, stop considering and just book it! Each and every guest, many who had travelled around the world to attend commented on the unique and amazing location which, despite the rain, was beautiful. 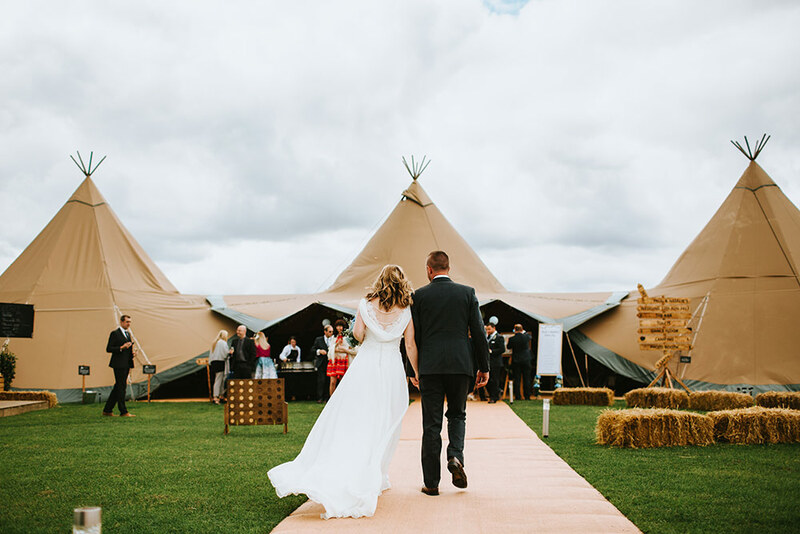 From the start of the whole process, right to the very end, Lucy was there to help, advise and put us in touch with some incredible suppliers. 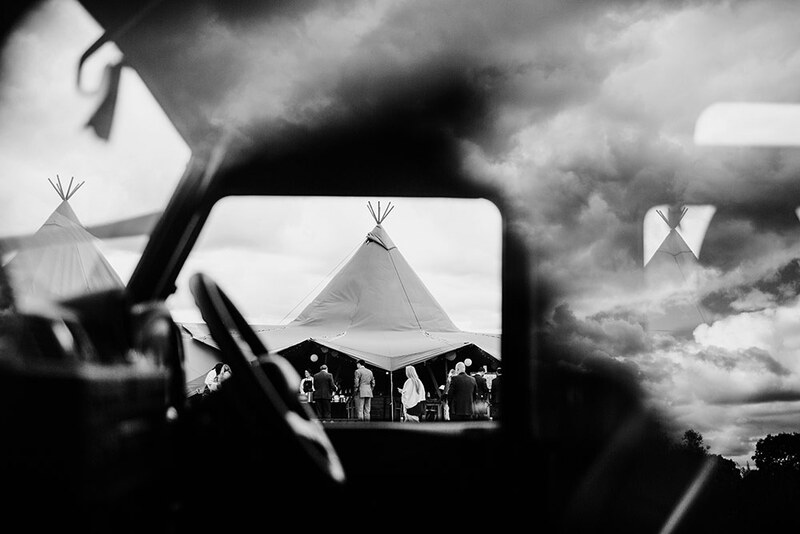 The caters, marquee suppliers, Photo Booth/bouncy castle guys, all were superb and all recommended by Lucy. She catered for and accommodated each and every thing we threw her way with professionalism and grace. On behalf of the couple, family and guests I would like to thank Lucy (and Bella, of course), for making the wedding such a wonderful occasion for us all. We first saw Alcott when we visited the venue for a wedding fair. 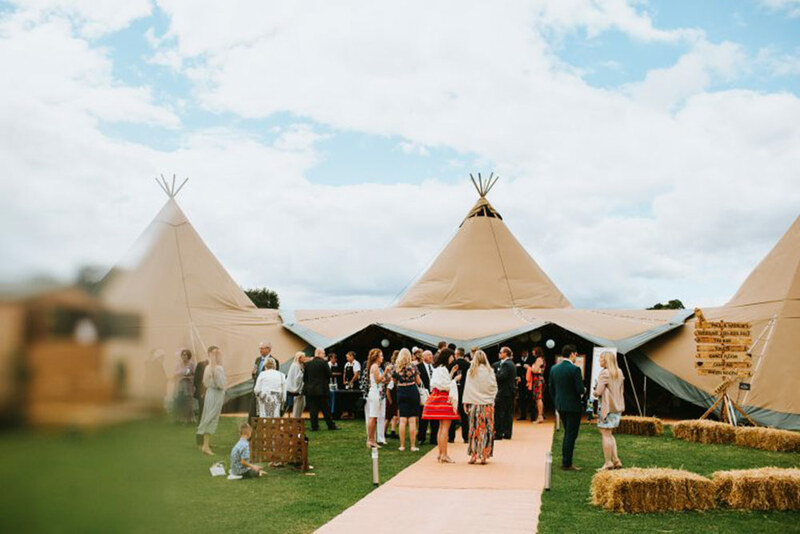 We loved the stunning venue, with plenty of space for the tipi structures that we had fallen in love with. Lucy was great to work with. 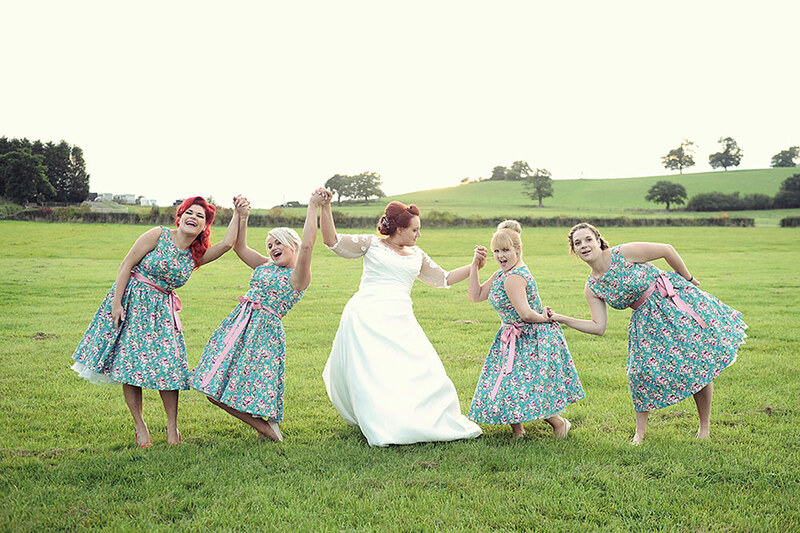 Her bubbly personality is fantastic and her passion for ensuring each wedding is personal to the couple is brilliant. Our wedding was a perfect day in a perfect location, we loved every second. Alcott Weddings was the first and only venue we viewed when we decided to get married. It’s a beautiful ‘blank canvas’ on which we were able to create our perfect day. Lucy was extremely helpful and had many useful contacts and suggestions for all our needs and queries, which we really appreciated. 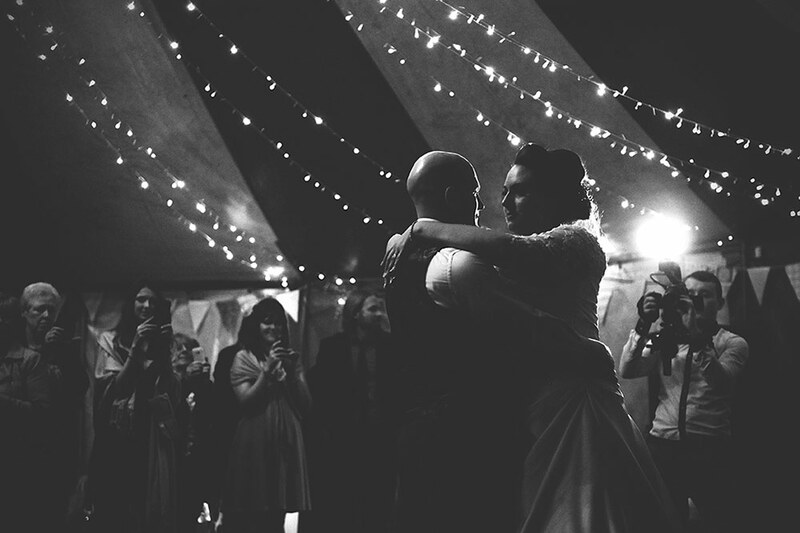 She was on hand to help with planning, set up and tidy up and made our lives very easy. The flexibility and accommodating atmosphere we got from Alcott and Lucy was exactly what we were looking for and we wish we could do it all again in exactly the same way! Let others know what you think of Alcott Weddings by giving a star rating and a small review.